The Frejus is great for outdoor entertaining and relaxing in style, any time of year. Easily seating up to five people, it's the perfect setting for social events as well as family life. The CoSi range is upholstered with premium-quality Nautilex fabric, a popular fabric of the luxury yachting and boating industries - the introduction of this premium fabric into outdoor furniture has revolutionised outdoor living. The premium-quality Nautilex furnishing is completely mould and mildew resistant, and even offers resistance to stains - watch our video elow to see how well the CoSi range deals with harsh staining drinks like red wine! 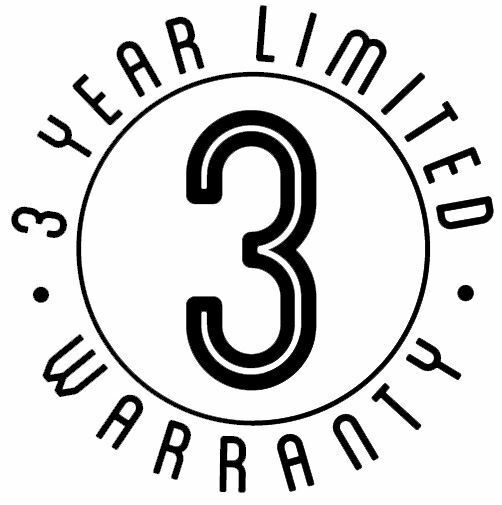 This virtually maintenance-free furniture provides long-lasting durability and can withstand the most severe weather conditions, such as extremes of heat and cold, and even harsh marine environments. This stylish sofa consists of 5 individual parts (two ends and three corner seats) connected to make a single sofa unit, supported by brushed aluminium feet. Available in a range of alternative colours. 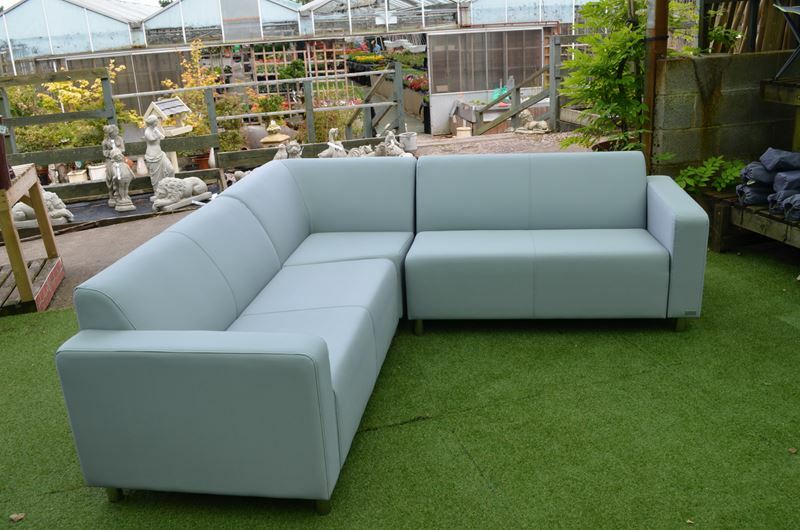 And with a protective finish, this outdoor sofa can be easily cleaned too. Additionally, the interior framework of this CoSi furniture is fully waterproof because it has been specially constructed from waterproof materials. This means that it can be left outside all year round. Take your living room setting to the pool side, patio or lawn with the Verona sofa set. 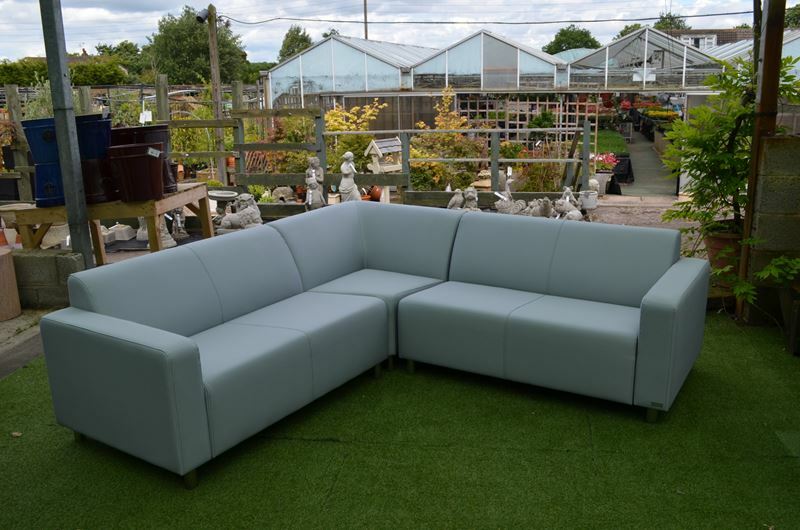 Featuring two armchairs, a two-seater sofa and a coffee table, the set is ideal for use any time of day throughout the summer months. Although it may look and feel like indoor furniture, amazing technology has made it suitable for outdoor use too. 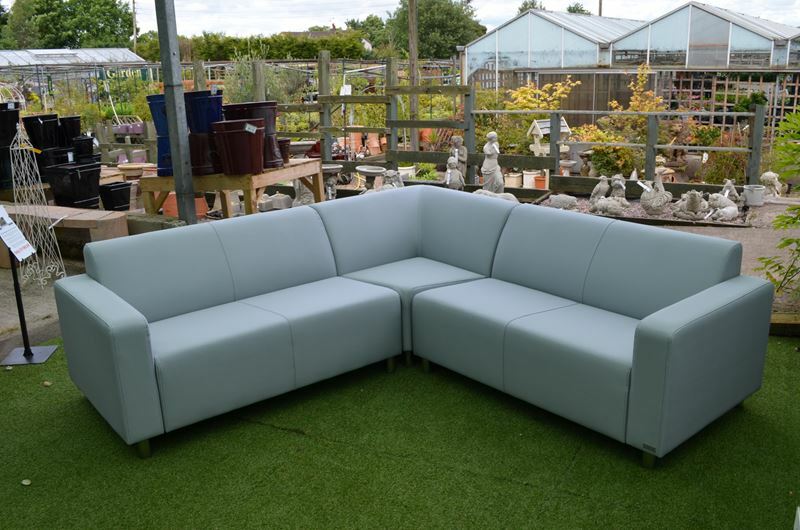 Rest up in the garden on the Tom corner sofa. Comprising two parts, a right and a left arm, you'll be able to quickly assemble and position it so you can start relaxing. Although it looks and feels like indoor furniture, the sofa has been made from incredible technology which makes it suitable for outdoor use.